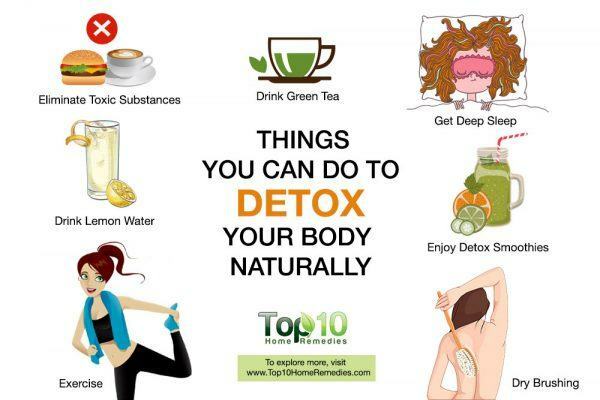 The body has a natural detox system that helps get rid of toxins that accumulate in the body over a period of time. Toxins are present everywhere – in our food, water and even in the air we breathe. Due to high levels of toxins, experts recommend following a detox diet once in a while to aid the body’s natural detox process. Detoxing supports the functions of the liver and helps bring the body back to its natural balanced state. 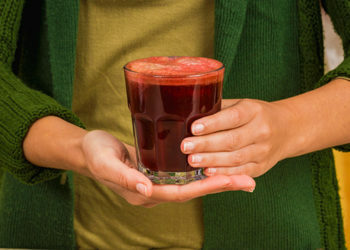 However, many of us believe that detoxing is a one-time event, lasting from 24 hours to several weeks. But in reality, you can take necessary steps to detoxify your body on a regular basis. 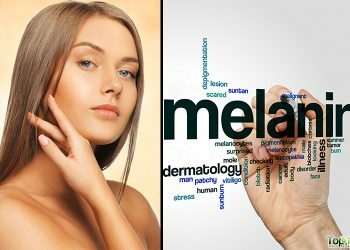 This makes sense also, as toxins enter and accumulate in the body on a daily basis. So, why not get rid of the toxins on a day-to-day basis? It will make you feel good as well as reduce the likelihood of getting sick on and off due to high levels of toxins. It is very easy and simple to detox your body regularly. There are many daily actions that encourage your body to detoxify little by little. 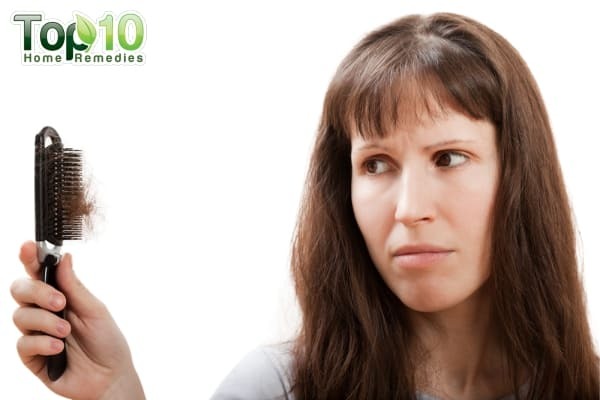 Here are the top 10 things you can do to detox your body naturally. Water is important for the health of all your vital organs, as it aids in every metabolic process in the body. Water also flushes your body of toxins through elimination. In fact, water helps your body better eliminate feces, which contain a good amount of toxins. When you keep the bowel and digestive system healthy, it helps your body get rid of harmful toxins each time you use the bathroom. Aim to drink between eight and 10 glasses of fresh water each day. However, you may need less or more, depending upon your climate and activity level on any given day. 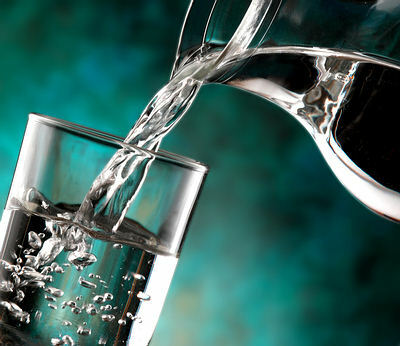 For better detoxification, each morning on an empty stomach, drink a glass of water that has been stored in a copper vessel to keep your digestive system working properly. Always check the color of your urine to find out whether your body is well hydrated. If your urine color is clear, it means your water intake is sufficient. To reduce the amount of harmful toxins in your body, start each day with a glass of lemon water. The citric acid in lemon aids in detoxification. The atomic structure of lemon juice is similar to the digestive juices found in the stomach, which aids the liver in producing bile. More bile keeps food moving smoothly through your gastrointestinal tract. The lemon even alkalizes the pH level of your body, thus making your body resistant to many diseases. As a bonus, lemon water is a great replacement for the caffeine to which so many of us are addicted. 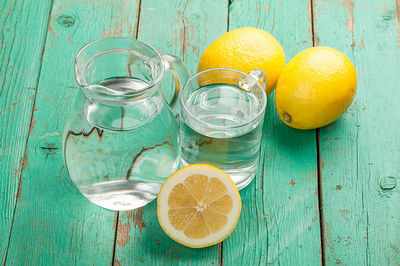 To make lemon water, squeeze the juice from half a lemon into a glass of purified, lukewarm water. If you want, you can add a little raw honey too. Drink it first thing in the morning on an empty stomach, and wait 30 minutes before eating your breakfast. 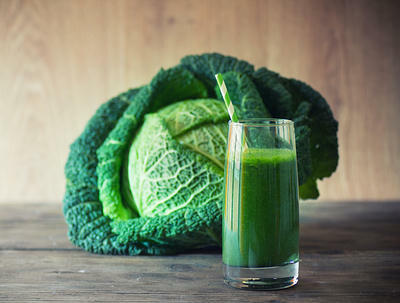 You can also enjoy a healthy green smoothie daily prepared from vegetables like spinach, kale, apples, beetroot, etc. As the skin is one of the major detoxifying organs of the body, dry brushing is a simple and easy technique that aids in sloughing off the dead cells and the toxins that accumulate deep within your skin. Dry brushing also activates the sweat glands, which excrete toxins via sweat from your skin. Take a natural bristle brush or just a dry loofah sponge and stand upright in your bathroom. Slowly start dry brushing, starting with the extremities and working your way in. Continue dry brushing for 10 to 20 minutes. After that, take a long, warm bath and finally rinse yourself under a cool shower. Nourish your skin with a good moisturizer. You should dry brush 3 to 5 times a week. Oil pulling is an ancient Ayurvedic technique that aids in removing harmful toxins from within the body. Apart from detoxifying your body, it also stimulates the body’s metabolism-regulating hormones and induces weight loss. This technique is also a quick remedy for fresher breath, whiter teeth and better oral health. Put 1 tablespoon of organic coconut oil in your mouth. Swish the oil around your mouth for 15 to 20 minutes. Spit it out, then brush your teeth as usual. Wait 30 minutes before eating anything. Note: Do NOT gargle with the oil and do NOT swallow it. Green smoothies prepared from fruits and vegetables like spinach, kale, beetroot, apples, oranges, pears, kiwis, pineapple, avocado, alfalfa sprouts, and ginger are a great healthy addition to your daily diet. You can also add various berries, nuts, and seeds in it. Green smoothies are detoxifying because they help stimulate the digestive tract to eliminate toxic waste from the body. All the ingredients in these smoothies promote proper digestion and are loaded with antioxidants that help cleanse your body of toxins. Here’s a simple recipe. Blend together a handful of spinach, a medium-size apple cut into large chunks, ½ banana, ½ cucumber, 2 tablespoons of ground flaxseed and 1 cup of plain nonfat yoguer, green tea or coconut water. 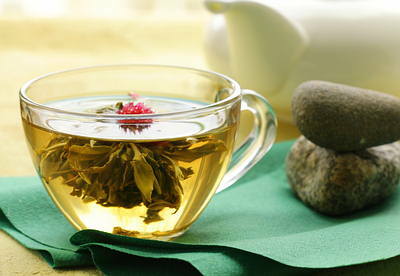 To aid detoxification, switch from your regular coffee to green tea. Green tea is rich with antioxidants that support detoxification by aiding production of glutathione, a carrier-antioxidant that eliminates harmful toxins from the body. Green tea also contains a class of micronutrients called polyphenols that promote the production of fat-burning hormones that are inhibited by toxins. This healthy tea is also a natural metabolism booster that aids weight loss. Try to drink 2 to 3 cups of green tea daily. If you get bored with green tea, switch it up with different herbal teas that have detox properties. Sweating is a great way to help your body eliminate toxins. Sweating aids in removing excess body salts and other nasty poisons from your body. To promote sweating, nothing is better than regular exercise. When you exercise for at least 30 minutes a day, you power up your lungs and get that breath flowing. This in turn pumps toxins out on a continual basis, and it also makes your heart stronger. 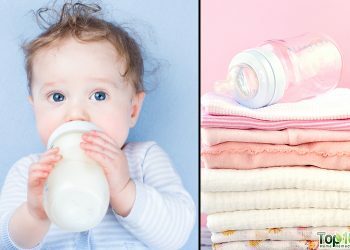 A 2011 study published in the Archives of Environmental Contamination and Toxicology reports that blood, urine and sweat collected from 20 individuals showed different degrees of toxins in each. It also showed that the highest amount of toxins was secreted through sweat. To aid detoxification in a natural way, get up and get active each day. 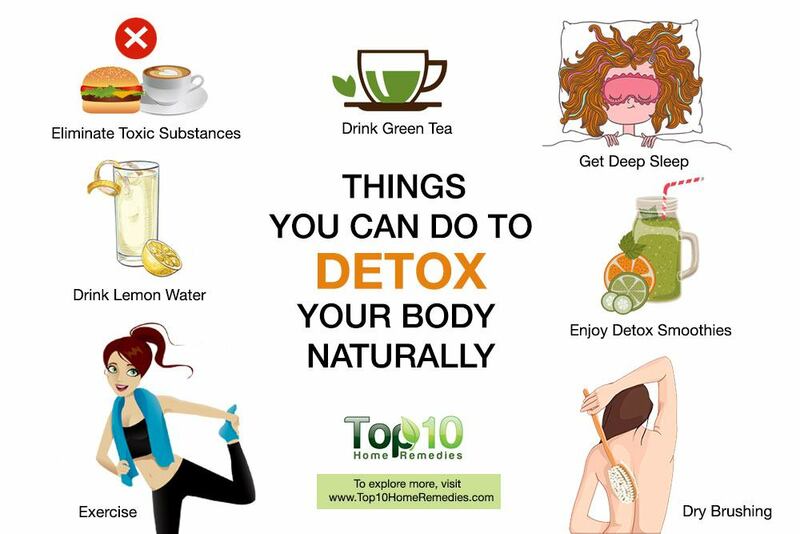 If you want to detox your body naturally, it is important to eliminate or reduce some of the toxic substances over which you have some control. Two of the things that you need to avoid completely are coffee and alcohol. Cut down your coffee and alcohol intake before you eventually quit altogether. Tobacco, too, is a big no no. You will gradually feel the benefits, without the unpleasant withdrawal symptoms. You must avoid packaged, processed food items in order to avoid all of the chemicals, preservatives, and additives found in processed foods. Say no to foods that come in cans, bags or boxes. In fact, stay away from sugar and artificial sweeteners as they contribute to toxic buildup, particularly in the nervous system and brain. At the same time, reduce the stress in your life. When your body is under stress, toxin levels go up. Managing stress will make it easier for your body to detox on a daily basis. Tongue scraping is an easy method to keep your tongue free of toxins. It aids in removing the harmful germs, bacteria, food debris, fungi and dead cells from the surface of the tongue that build up over night while you sleep. In fact, the yellow or white coating on the tongue cannot be cleaned properly through normal tooth brushing and flossing. Tongue scraping, when done on a regular basis, also enhances your sense of taste. It should be done once every day using a tongue scraper designed especially for this purpose. If you don’t have a tongue scraper then use your toothbrush to scrape your tongue. The best time to do it is in the morning or after a long nap. Your body cleanses itself while you sleep, with the liver doing its job when your body is in rest mode. Even the brain performs the vital function of eliminating toxins during sleep. This is why you feel rejuvenated after a restful night with six to eight hours of deep sleep. In fact, when you don’t sleep enough even for a single night, you inhibit your body’s natural detoxification process. This is why you should avoid late night parties or staying up to watch a late night show. At the same time, be sure to get up as soon as your body naturally feels the need to purge itself of waste. Avoid delaying bowel movements or holding back your urine in the morning, as it can lead to the toxins being reabsorbed by the body. Always talk to your doctor before you follow a special detox diet, especially if you are being treated for any existing medical conditions. 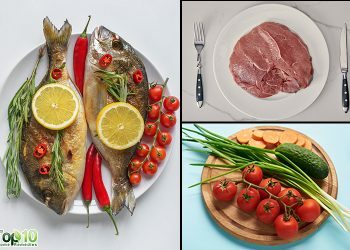 Eat whole and organic foods to get natural vitamins and minerals, as well as antioxidants and enzymes that assist your body to flush out toxins. Make sure to eat vegetables and fruits rich in soluble fiber to help your gut flush out toxins. Try a sauna bath once a week to improve your blood flow and elimination of toxic waste though sweating. Include a superfood at each meal to provide your body with enough antioxidants. Helping your body digest the food you eat makes a big difference in the natural detoxification of your body. So, include probiotics foods in your diet to improve digestion. Give your internal organs time to rest and rejuvenate by fasting for a day or two once every month. Who is going to swish coconut oil in their mouth for 15 to 20 minutes? And if you are to drink lemon water on an empty stomach then swish coconut oil, how does that work? I know lemon water is the bomb! My Gynecologist suggest this when I was a young women for my monthly cycle’s. I suffer’ed from PMS & the swelling was horrible. I continue this even now if I am retaining water.